Today, I'm posting about some very popular shoes... Converse! Converse, most popular right now in black and white, are a sneaker which were first made in 1917 as a basket-ball shoe. At this point, they have been a pretty popular shoe for a very long time. I'd bet that you didn't know that team USA wore them in the first ever olympic basketball game or that before they were designed that they were going to be intended for soccer. Converse have an interesting backstory, so I decided today that I would show you some looks involving the converse shoe. Here I have made a pretty casual, everyday spring look. I think matching the green converse with the cropped top makes for such a cute look, throw on a bag and your good to go.. Here I have a cute look for the summer, maybe even the for the 4th of July here in the USA since the shoes show the colors of the American flag. I tried to go for something a bit more formal in this look, something more dressy... I really love this dress, collar, and jacket combo (all credit to Sarah for the idea though). As all of you may recall, I asked for you to submit all SC looks using converse to be featured in this post. Well, after flicking through many amazing looks I choose to feature these amazing looks. I really love the way that she used high socks with her converse.. I also really love her wig! That DIY belt, which Pink showed us how to make in one her posts, looks amazing paired with jeans and converse shoes. Here is my collection of Converse here on Stardoll. 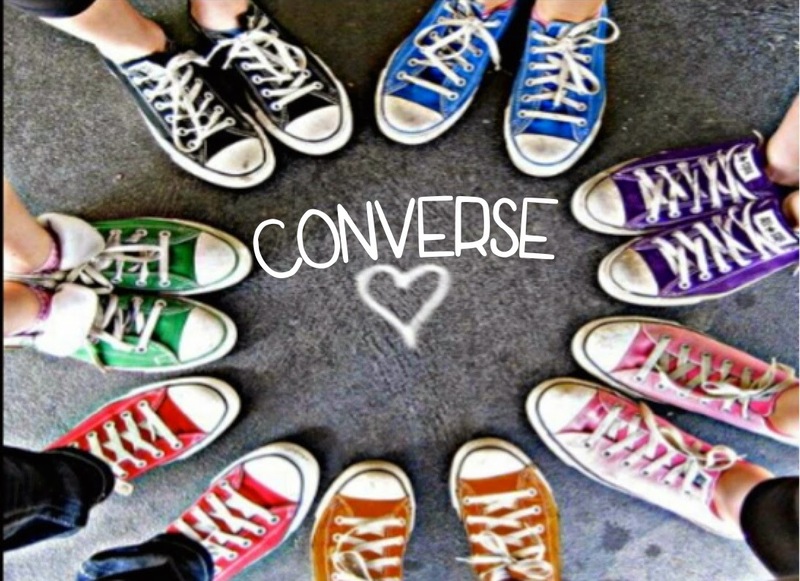 QOTD: What are your favorite color converse?